April 1st is a very tough day to report big, controversial news - if you want to be believed that is. Fact: The new X-Men movie has leaked to BitTorrent and Fox won't be laughing. The movie is unfinished with many special effects yet to be added. Fingers are already being pointed toward the possible source of the leak and downloads are already more than 75,000. April 1st. What fun. Everywhere you look torrent sites and release sites are being shut down, that’s if they aren’t teaming up with the movie studios. But what if there’s some really serious news to report? What if one of the summer’s biggest sci-fi movies leaked out onto the Internet way before its release, and before it was even completed? Still unconvinced? 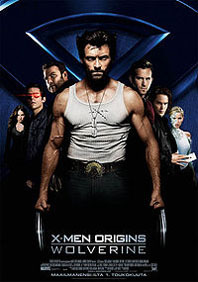 This is the reality today with Fox’s ‘upcoming’ X-Men Origins: Wolverine and it’s spreading with determination on BitTorrent. At the time of writing there are at least three different ‘workprint’ versions, presumably from the same source. One is reported to be a few minutes longer than the others but all are missing special effects. The film, penned for a May 1 2009 release, was due to compete alongside the likes of Transformers: Revenge of the Fallen and Star Trek in this year’s summer blockbuster campaigns but has ‘premiered’ a little earlier than planned. Here at TorrentFreak we’ve been monitoring this leak and since the movie hit BitTorrent just a few hours ago it has been downloaded at least 75,000 times, a rate comparable to that of the DVDrip ‘release’ of The Dark Knight. Interest is likely to be significant. X-Men’s target audience are tech-savvy people who are likely to have heard about BitTorrent. Multiply this by the desire to see something unusual and something you’re not supposed to have (like an unfinished Hollywood sci-fi movie) and things got hot – quickly. The leak is the source of much speculation, but one particularly interesting discussion surrounds the source of the leak of this ‘workprint’ copy. Many early ‘reviewers’ of the movie noted that not only was the video and audio of a high quality (screenshots), but there were no ‘watermarks’. This is not strictly true. A little way into the movie from the top of the screen pops a very brief message which names Rising Sun Pictures and a date, 2nd March 2009. Founded in 1995, Rising Sun Pictures (RSP) is an Australian visual effects company which has previously worked on the Harry Potter, Superman and Batman movies, so they have quite a pedigree. Of course RSP would absolutely not endorse any leak and the leak could have happened before the print even reached them, but somehow a print marked with their company name has made it onto the Internet and the downloads are mounting quickly. Another interesting development is that Devin Faraci over at Chud.com said that he’d been told that the Wolverine DVD had been “switching hands” over the last couple of weeks. TorrentFreak contacted Rising Sun Pictures but as yet we’ve had no response. Update: Fox has released a statement confirming the leak. The FBI and MPAA are investigating the case. Poll: Will the X-Men Leak Hurt the Movie’s Success?